Cheryl Franklin has been a kickboxing instructor for two years. 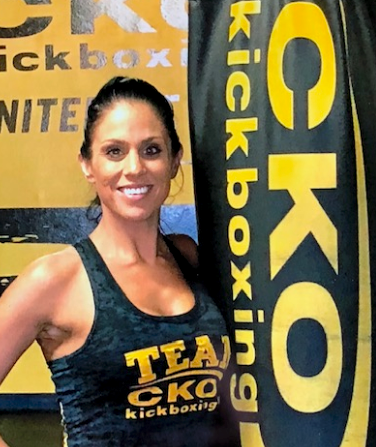 She was a client at CKO San Diego for 4 years, kickboxing here every Saturday with her mom, before her and her mom became the owners in September 2017. Cheryl has a love for being active and staying in shape. She has a passion for playing sports; especially softball, volleyball, and basketball and enjoys being outdoors. Cheryl is a TRX certified trainer and CPR certified. When Cheryl is not at the gym, she works as a training manager for Kroger. When time allows, she enjoys just spending time at home with her husband and visiting her family in Chicago. Jeff is a San Diego native. At a young age, Jeff was very interested in martial arts. Unfortunately, there were no schools offering martial arts around the area at the time, leading Jeff to begin wrestling at age 12. 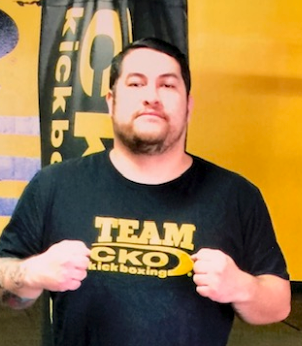 After high school, Jeff decided to start doing cardio kickboxing and boxing to stay in shape. Through this, he found the art of Muay Thai and Jiu Jitsu. 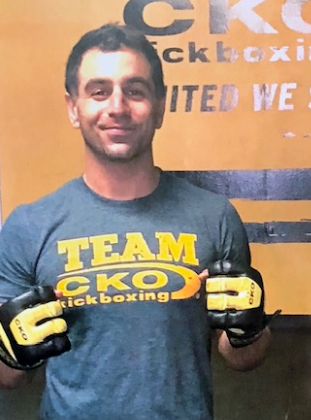 By day, Jenny Steiger is an Administrative Assistant at a local law firm, at night she motivates and inspires her fellow kickboxers at CKO Miramar. Jenny’s love for fitness began at CKO Miramar in June of 2014. Since then, she became a Training for Warriors “Level 1” Instructor where she taught her clients how to use weights and push through to achieve desired results. When Jenny found out CKO Miramar was looking for instructors, she applied and taught her first class in April of 2017. She incorporates dumbbells, medicine balls, and friendly competition into her routines which keeps them interesting, and her clients coming back for more. When Jenny is not at the office or in the gym, you can find her hiking Iron Mountain, walking along Coronado Beach with her dog, or attending any country music concert in town with her besties. Megan has been training clients for over a 10 years. She developed her love for fitness as a teenager and through her many diverse experiences has become an exceptional personal trainer/class instructor. Megan ran track in college and took nutrition courses as well. She became certified as a personal trainer through the IFPA, competed in NPC figure/bikini shows, Miss.Italia California 2010 beauty pageant and has trained mixed martial arts all over Southern California. Her love for boxing is contagious and undeniable. She has trained with top pro MMA athletes in the UFC and a highly respected Bellator champion in wrestling & jiujitsu specifically. 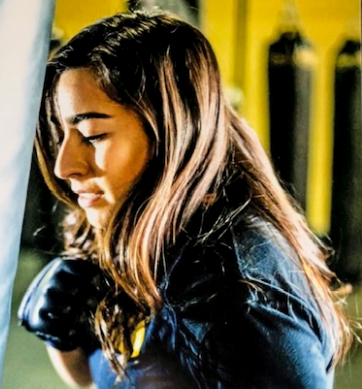 She took a year to train for the golden gloves in New York City. She has also done fitness modeling and has been a spokes model for some of the top supplements companies in the fitness industry. Her style of training clients incorporates high intensity boxing/kickboxing techniques, core exercises and interval training. Megan believes that training like a “fighter” while incorporating fitness routines gives her clients a workout that is always new and challenging. She is the ultimate cheerleader and has a passion for teaching classes and training clients one on one. Her goal is to ultimately guide her clients and help them achieve priceless results! Mike grew up in San Diego (University City) and has always been involved in teaching and playing sports. At University City High School, Mike focused on wrestling and became 2 time captain and the San Diego City Champion at 130. Mike graduated from San Diego State University with a Bachelors in Kinesiology in 2010 and has been working as a fitness trainer and teacher since. He tries to blend in muscular endurance with cardio in each workout session. Nancy Lavell has been a client of CKO San Diego for five years. 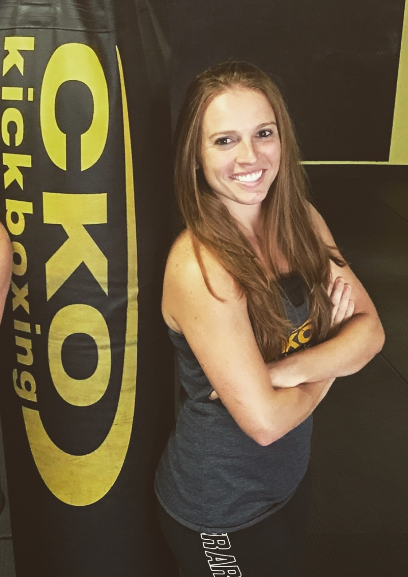 She recently began teaching kickboxing two years ago, and became owner in September 2017 with her daughter. Nancy comes from a fitness background and knows how to achieve results. As an athlete growing up, fitness and strength training was always a priority and continues to be today. Nancy is TRX certified, CPR certified, and NASM certified. 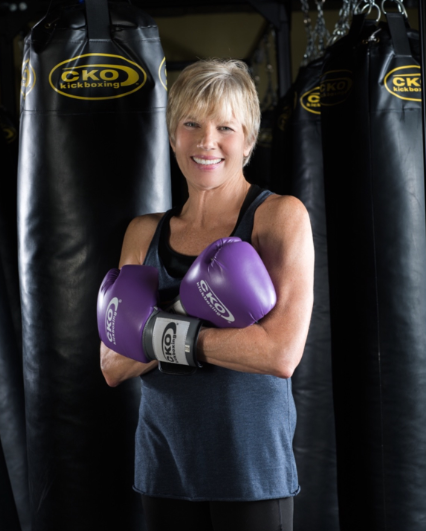 Nancy left the dentistry industry after 41 years to become a full time owner/instructor at CKO San Diego. She dedicated herself and makes it a point to meet and greet every customer and client that walks through our doors. It is a strong belief of both Nancy and Cheryl to have CKO San Diego be nothing less than a welcoming, family environment. Nancy enjoys spending time with her husband, visiting her son in Chicago, and has a deep love to her pets, Trixie and Cozmo.